Initially, I was a stenographer in the Steno Pool on Hawley Road. Then I was hired as the secretary to E. E. Richards and Eugene Mills. Evenutally, we moved to what was referred to as "The Hill" - the main bldg. on 70th. E. E. Richards and Eugene Mills were the managers of Motors and Generators. Eugene Mills was manager of the Development Engineering group for Motors and Generators while E. E. Richards headed up the regular Motors and Generators Engineering group. The plant struggled and eventually, we had a new President who did an excellent job of keeping everyone in line and actually saved the company from possibly closing much earlier than it did. The group had a fabulous man by the name of Red Petit who was a troubleshooter and would go out into the field to assess problems and get them corrected. I, personally, enjoyed my employment greatly with Allis Chalmers. Both managers were so wonderful to work for. E. E. Richards later was transferred to at a plant in Ohio. His birthday was February 2nd - Ground Hogs Day - as I recall. Some work was done with the Siemens Company in Germany, as I remember Ernie Richards traveling there. When the group moved to "The Hill" we were located on the mezzanine of the building. When things were slower in our department, I was also utilized to type instruction manuals for our equipment which was done by John DiTrapini's group usually. I sometimes also was involved with typing the five-year plan for the company. Even after I left the company to return to school, I worked a couple of summers doing just that. 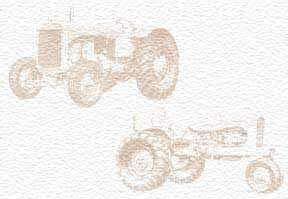 Many happy memories of my time at Allis Chalmers remain in my heart. We all were like family. Different groups formed as offshoots of the company - I read about a musical group here and I myself was a member of the Tennis Club that formed. We all had good times together beyond work.